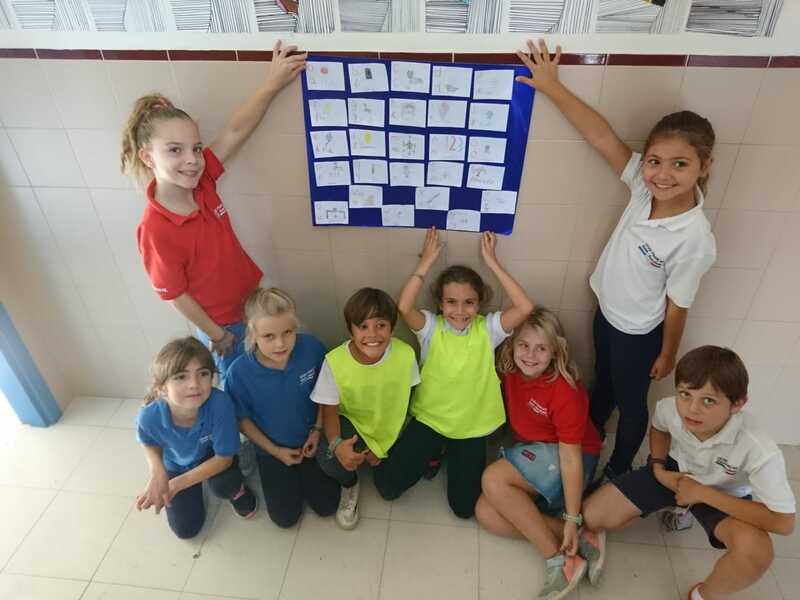 The CE2 students learned to spell their names in English using the sounds of the English letters. Especially the vowels can be very confusing. How was “i” again? 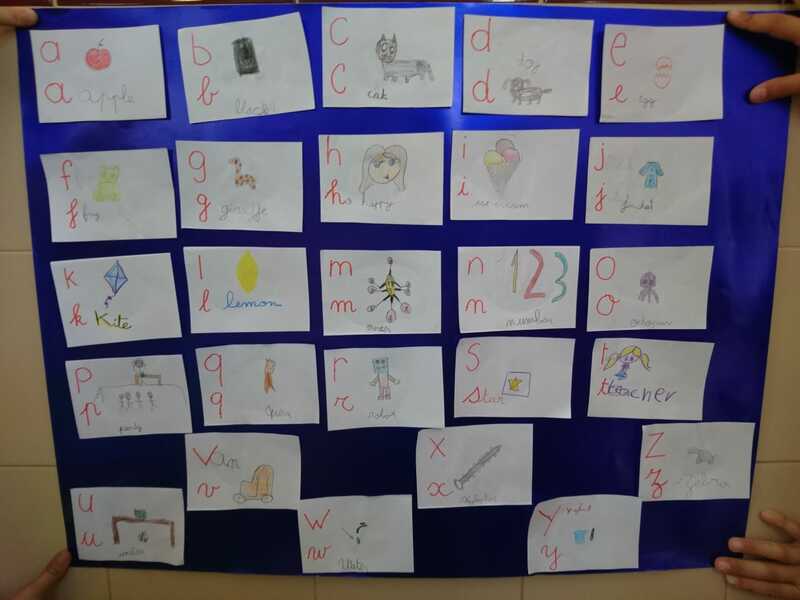 To make the alphabet more visual we tried to draw a word with each letter of the alphabet and the students came up with such nice ideas that we decided to make an alphabet poster. Isn’t it beautiful?